I'm thinking to blog about " my first and forever idol " , a week after my dad been promoted to his new position. But, I'm kinda busy with the preparation for our launching product. Alhamdulillah. Praises to the Al-Mighty , for giving my dad and family a great gift. Then , I found a quote that I really adore .
" 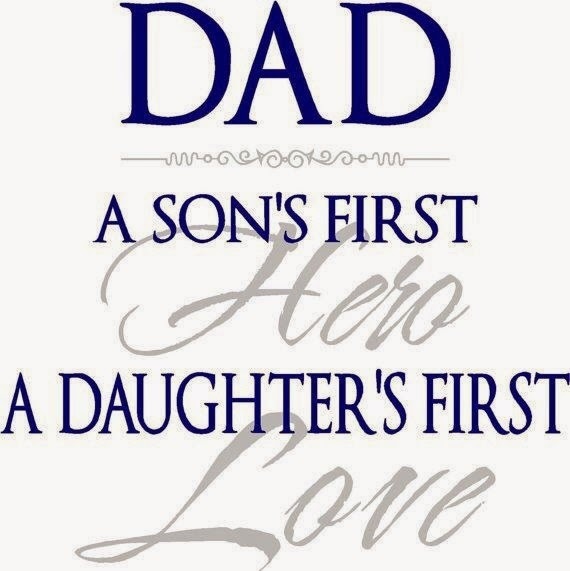 DAD , a son's first hero , daughter's first love " . Thanks to Allah for giving me a great dad and mum. Alhamdulillah. Why my dad is my idol. I really feel inspired towards his passion when comes about his work. My dad, been working with PROTON since 1985 until current. It's been 29 years he work with the biggest Malaysia car maker company. For me,I've grown up seeing my dad hardwork and passionate towards PROTON , makes me feel proud about our very own car maker company. It's not an easy job to create / design / made a car from scratch . Sometimes, I do feel disappointed when there are some Malaysian keep on giving a negative comments rather than giving an idea to PROTON to be better in future. All the comments sometimes give an impact to me and made me cried to. But, every person/individual have their own interest/thoughts/opinion,so people in PROTON accept all the comments with an open heart and take it as a positive comments to improve and be better. When I see my daddy hardships I can see /feel through him that all of the PROTON workers done their best as a team to produce a car. For Malaysian. Yes, for Us. For our country. My dad is someone will see beyond the expectation. Someone who will plan earlier before any consequences. 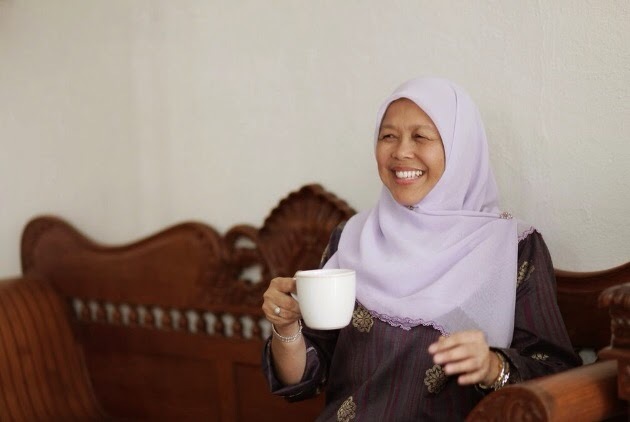 He always said to me " kakak, whatever you do always think a step further before something happen. Not think / regretting after something had happened , because everything that happened after is a reason. " . Of course, behind every man who are successful there is a woman who keep on supporting him. And of course my mum is the back bone for my dad. Her prayer . Her love . Her kindness. Everything that my mum do , is actually makes my dad become what he is now. Alhamdulillah Praises to the Al-Mighty for the love between them . Insyaallah till Jannah. Amin . My dad passion towards Malaysian car maker company since 1985. Back then, he was an Assistant manager. Everyone started from below to be on top. As for my dad , for 29 years his hardship been appreciated one by one , year by year. Alhamdulillah. 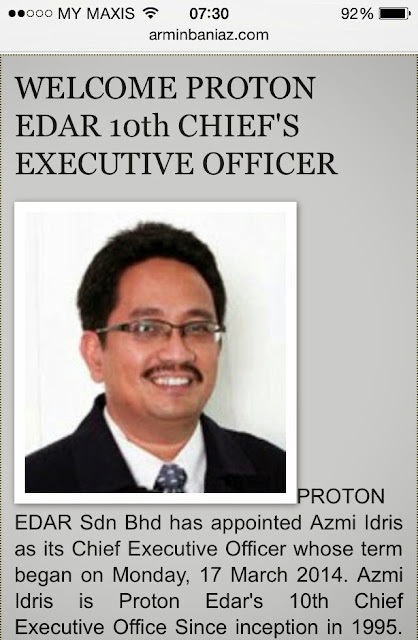 And currently ,on 17th March 2014 my daddy officially been appointed as Chief Executive Officer for Proton Edar Sdn Bhd. Before he hold the position as CEO , he was a Director of Manufacturing for Proton Holdings Berhad. Yesterday, when I just randomly google my daddy's name. I found a blog owned by Armin. He wrote about Proton Edar and welcoming my daddy, as a new CEO for PROTON Edar Sdn Bhd. Thank you, Mr Armin Baniaz Pahamin for blogging about PROTON edar sdn bhd and really appreciated your kindness welcoming my daddy for his new position. Dad, we always pray that you will inspired many people and all of PROTON members to be a better car maker company in future. Dad, all of us really proud of you, all your hardship and passionate really been paid. We always pray that you can driven Proton Edar Sdn Bhd to be better . We always supporting you no matter what. We all love you . For all my friends/Malaysian out there, keep on praying and supporting Malaysian car maker company. Support local product. Even a small support from all of you, people in PROTON accept it always with a big heart. Thank you all . Thank you, daddy for being a great dad to us and a great husband to mama. We love you always. Hey Nia, Just discovered and read your blog. Glad to find you on blogosphere. Your Dad is am amazing man and I am proud to be working with him. I like your "First and Forever Idol" write up. No one can feel a father's commitment and love until he becomes one. Your father is fortunate to have you as a daughter. Have a good day and keep up blogging.